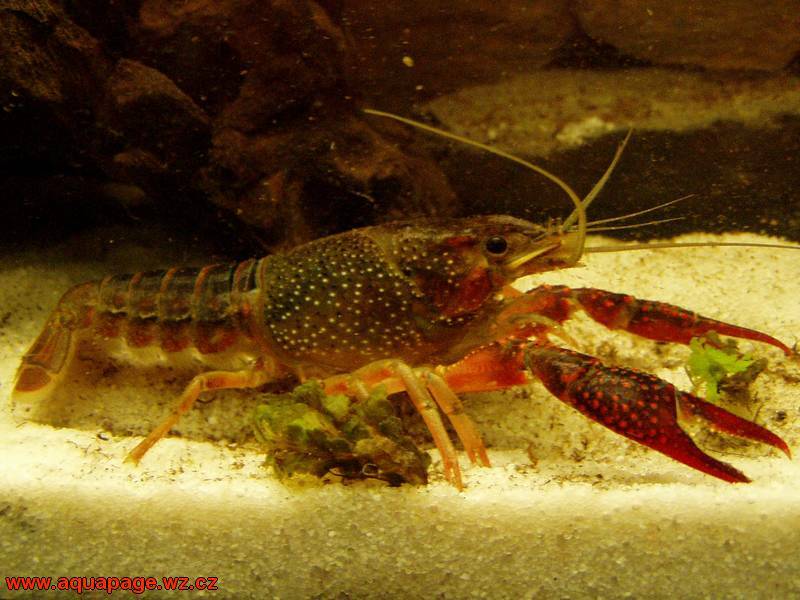 The Procambarus clarkii, or the Red Swamp Crayfish, are, like most crayfishes, a freshwater crayfish. Their existence seems to have originated from the parts of Northern America. Their body strength can be acknowledged from the fact that they can survive even at very high water currents. 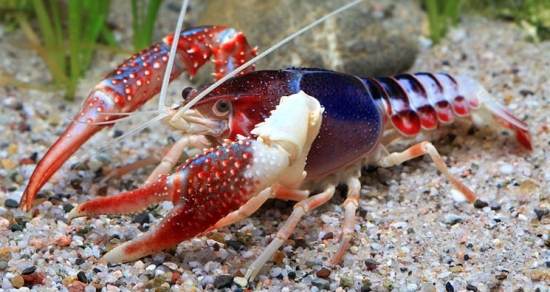 Another unique characteristic of the Procambarus clarkia crayfish is that they burrow a lot. 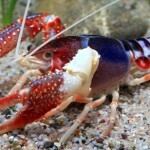 We explore more about this crayfish in this article dedicated to the beautiful aquatic species. 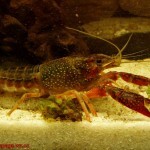 A selection of pictures of the Procambarus Clarkii has been presented below. 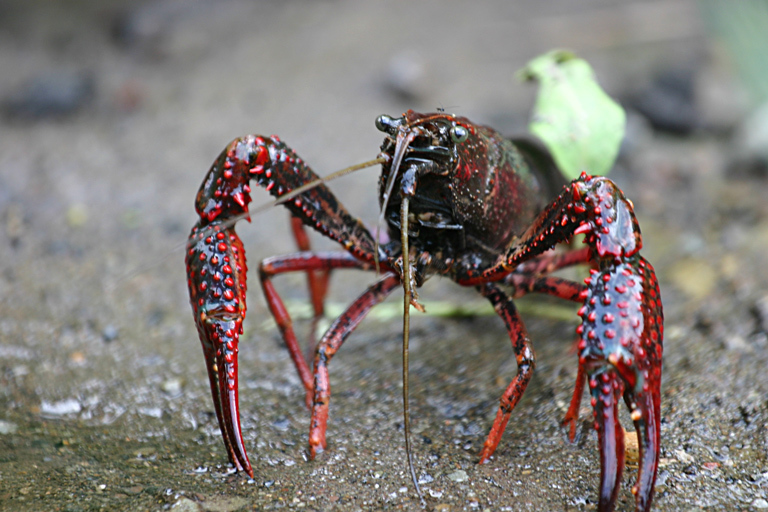 Known as the fresh water crayfish, these are more popular as pests found in rice bags that are responsible for crop spoilage. The breeding of these species began only in the18th century. These crayfishes are also known to be responsible for spreading fungus plague. 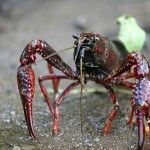 This lead to the forced reduction in the number of crayfish in Europe. 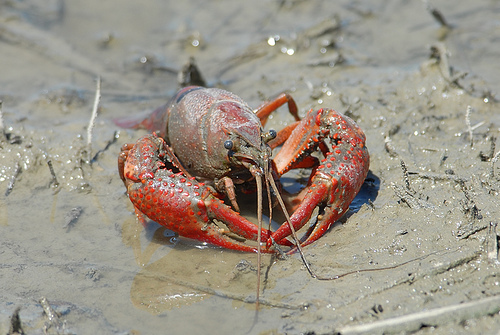 These are also famous as Red swamp Crayfish and called by names like mudbugs, Louisiana crayfish, and red swamp crayfish in different parts of the world. One can spot these species in the south central portion of USA and parts of México. 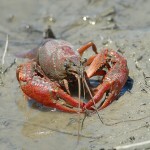 They are also known to dwell in the parts of Albama, Texas, Illinois and Tennessee. These species vary in length from 3 to 5 inches and weigh between 50 to 80 grams. These species usually have as dark red colored body that is marked with black stripes in the abdominal portion. Their cylindrical shaped is dotted with hard and thin frame but their shells are not segregated. These species have pair of five legs among which, the very first pair is used for having food and bear moving eyes. They have long and narrow pinchers and antennas that help in sensing. These species are carnivorous by nature and feed on tadpoles, snails and larvae. They sometimes also thrive on dead animals and worms. These species like to dwell in streams, canals, swamps, slow moving rivers, and marshes. During daytime these species hide under the rocks and are found active at nights. They usually like to dig to get foods. They have a habit of shedding their exoframes several times in their life. While performing the shedding they do not indulge in their normal routine. Once the exoskeleton is detached from their body, one can see a soft endocuticle. They usually produce a new skeleton beneath the old one. As soon as the endocuticle gets hard, they resume their normal activity. Usually their mating period starts from late autumn. However, if the climate is congenial, then they can mate even twice in a season. In case of males, the testis is white in color, while the ovaries in females are orange colored. The males use pore to release the sperm and this sperm enter through the third part of the legs in females. The number of eggs laid is determined by the size of the females. These babies become mature within 3 months. They usually inhabit in warm and shallow areas. However these species can withstand extremes conditions of temperature, less oxygen, salinity and pollution. If is too cold or drought these species stays inside the burrows. Proper Housing: One can keep them in the aquariums that have a few twigs, branches, pebbles etc. However, when they start shedding, they need to be removed from it for a while. Proper Water: It is advisable to clean the aquarium on a daily basis. The water however can be replaced once a week. They can survive even when the temperature is more than 28 degrees. Proper Food Habits: They should be provided with worms, tubifex, bloodworms, clam, leafy green vegetables etc. to feed on. These species can actually live up to 3 – 5 years. The lives of these species are facing continuous threat from ants. However, according to the reports of IUCN, they are in the category of least important.